Male and female cardinals perched on dogwood branch. 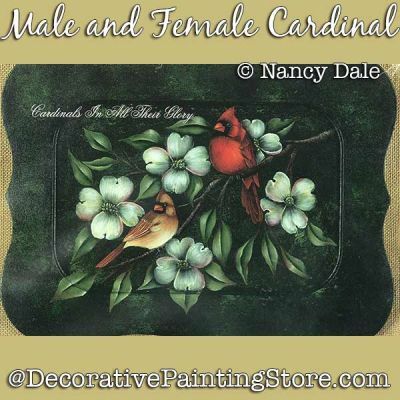 Painted in DecoArt Ameriana acrylics on 12"x15" chippendale tray. This pattern includes image, supply list, instructions, line drawing to trace.